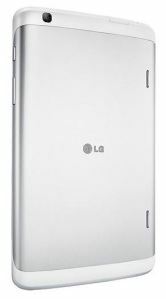 You can order the LG G Pad 8.3 on BestBuy.com today for $350. But you will have to wailt till November 3rd, if you’d like to get some hands-on time before purchasing. If it’s as sleek as the LG G2 smartphone, I am sold. The device is pretty thin and slick. You can get the tablet in black or white. LG G Pad 8.3 offers easy-to-sync connectivity across all your Android mobile devices, including the new LG G2, with QPair*. When enabled with LG G Pad 8.3, QPair affords users a seamless extension to their Android smartphones by providing simultaneous access to recently opened apps, incoming calls, text messages and more. 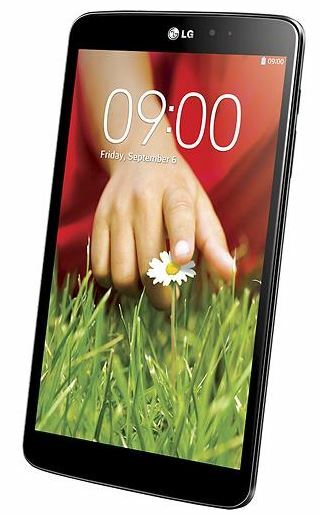 LG G Pad 8.3 users can even reply to texts and use LG features like QuickMemo to capture and comment on images, making mobile sharing effortless between LG G Pad 8.3 and other Android devices. So now the question is, would you buy this tablet over the iPad mini? Or if you’re a fan of Windows 8, you can get the Lenovo Miix2 tablet that was announced recently. Which tablet presents the better balance and bang for your buck?